Capital leases and operating leases are two types of leases with different criteria. The finance company is the legal owner of the asset during duration of the lease. However the lessee has control over the asset providing them the benefits and risks of (economic) ownership. An operating lease is a lease whose term is short compared to the useful life of the asset or piece of equipment (an airliner, a ship, etc. ) 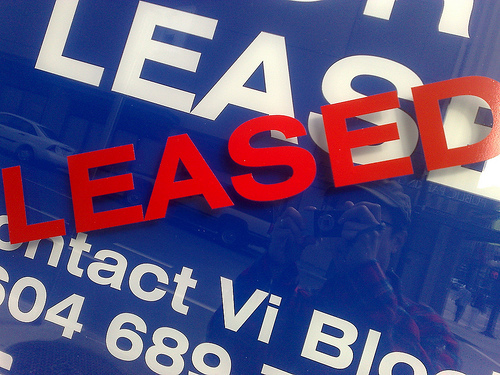 being leased. Unlike a Financial Lease or Finance lease, at the end of the operating lease the title to the asset does not pass to the lessee, but remains with the lessor. present value: Present value, also known as present discounted value, is the value on a given date of a payment or series of payments made at other times. the present value of the lease payments equals or exceeds 90% of the total original cost of the equipment. The lessor leases the equipment to the lessee which pays periodically a rent. Operating lease is the smartest way for the outsourcing of industrial equipment. It allows the company not to use its equity in a investment that produces no direct added value, but to dedicate it to its core business and valuation. Lease: Leasing is a good way to lower the costs of a company. Leasing assets, both as lessee or lessor, has significant impacts on various financial statements. Leasing is an alternative approach to buying an asset required for operation or selling an unused asset. The lessee, or the individual renting the asset, benefits from leasing through incurring lower costs (albeit consistently over time). The lessor benefits by procuring a return on a previous under-utilized investment. Capital leases usually transfer ownership of the leased item to the lessee at the end of the contract, while operating leases generally just represent utilization of the asset (and not eventual ownership). Capital leases and operating leases have different accounting implications for both the lessee and the lessor. Capital leases, due to the transfer of an asset, have a greater impact on the balance sheet. operating lease: An operating lease is usually short compared to the life of the asset being leased, and does not result in a change of ownership at the end of the lease. capital lease: A capital lease is usually quite long, perhaps even the entire duration of the life of the asset being leased. A capital lease has balance sheet implications, as the asset itself may be transferred at the end of the contract. Leasing is an alternative approach to buying or selling a given asset or real estate location. The lessee will pay the lessor for the rights to utilize a given asset (i.e. the lessor is the owner of the asset, the lessee is renting it over a fixed time frame). For each respective organization, leasing will have significant impacts on financial statements during the accounting process. Understanding the accounting implications for each organization (lessee and lessor) is useful for accurate reporting on both the income statement and the balance sheet. In accounting, leases can be considered either operating leases or capital leases (also called financial leases). An operating lease is not reported as an asset or a liability (i.e. not represented on the balance sheet) and is expensed via the income statement as payments are incurred. A capital lease, on the other hand, is recorded as both asset and liability calculated as the present value of the cumulative rental payments (but never more than the overall fair market value of the underlying asset). If any one of these criteria are accurate in a given leasing contract, the lease is considered a capital lease and thus will impact the assets and liabilities of the balance sheet. Otherwise, it is seen as an expense and filed as an operating lease on the income statement. The lessee records rent expense (debit) over the lease term, and a credit to either cash or rent payable when on an operating lease. From an income statement perspective, the expense incurred is equivalent to the cumulative rent being paid over the reporting period. With a capital lease, the lessee does not record rent as an expense. However, due to the classification of the leased asset, there are interest and depreciation alterations to be made via the income sheet when applicable. Over time, the depreciation and interest will equate to the value of the underlying rent payments. Improvements: If improvements are made, they should be capitalized and depreciated over the lease life. If the lessor gives the lessee a cash allowance for improvements, this is treated as a reduction of rent and amortized over the lease term. Percentage Rent: Some contracts have a percentage kick-back to the lessor in instances where sales reach a certain volume (common in retail leases). For example, the lessor decides that if the shop sells over $100,000, any sales past that point are subject to a 10% kick back to the owner of the property. For an operating lease – the ownership of the asset is maintained by the lessor and must be represented on the balance sheet as an asset. Rent revenue is credited with a corresponding debit to cash/cash receivables. For a capital lease – the lessor debits the receivable account for the present value of the rents and credits any owned assets. Cash is debited upon payment while the receivable is credited, and unearned (interest) income is credited as well. The main advantage of leasing lies in a business’ ability to attain assets without outlaying essential cash. Leasing is a process by which a firm can obtain the use of a certain fixed asset for which it must pay a series of contractual, periodic, tax deductible payments. Capital assets may fluctuate in value. Leasing shifts risks to the lessor, but if the property market has shown steady growth over time, a business that depends on leased property is sacrificing capital gains. Depreciation of capital assets has different tax and financial reporting treatment from ordinary business expenses. capital-intensive: Capital intensity is the term for the amount of fixed or real capital present in relation to other factors of production, especially labor. Leasing is a process by which a firm obtains the use of a certain fixed asset for which it must pay a series of contractual, periodic, tax deductible payments. In these arrangements there is a lessee and a lessor. The lessee is the receiver of the services or the assets under the lease contract while the lessor is the owner of the assets. Leasing is less capital-intensive than purchasing, so if a business has constraints on its capital, it can grow more rapidly by leasing property than by purchasing property. Depreciation of capital assets has different tax and financial reporting treatment from ordinary business expenses. Lease payments are considered expenses rather than assets, which can be set off against revenue when calculating taxable profit at the end of the relevant tax accounting period. In some cases, a lease may be the only practical option; for example, a small business may wish to open a location in a large office building within tight location parameters.